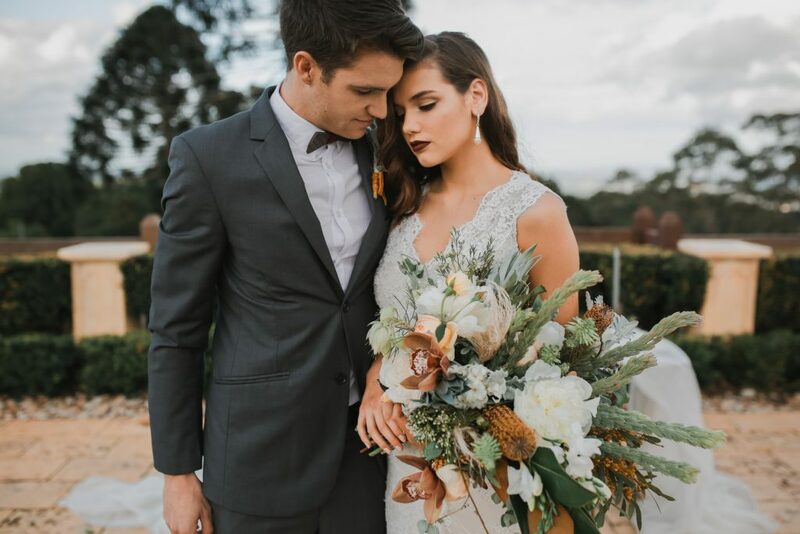 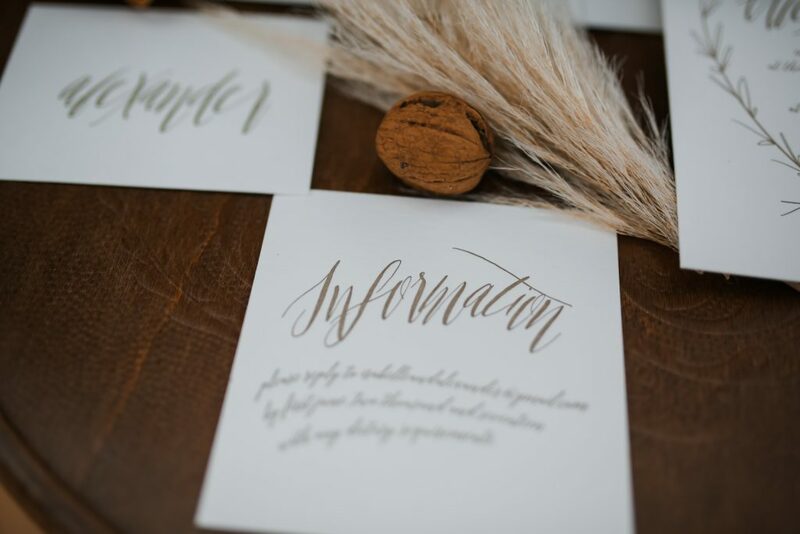 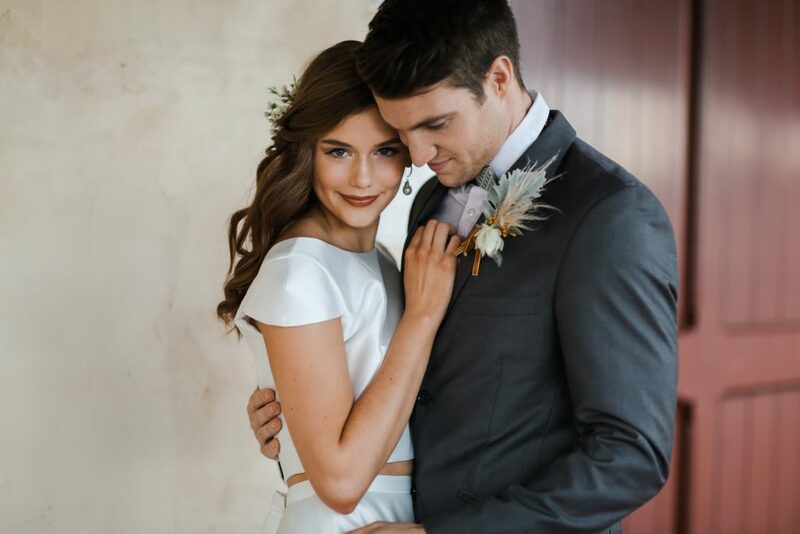 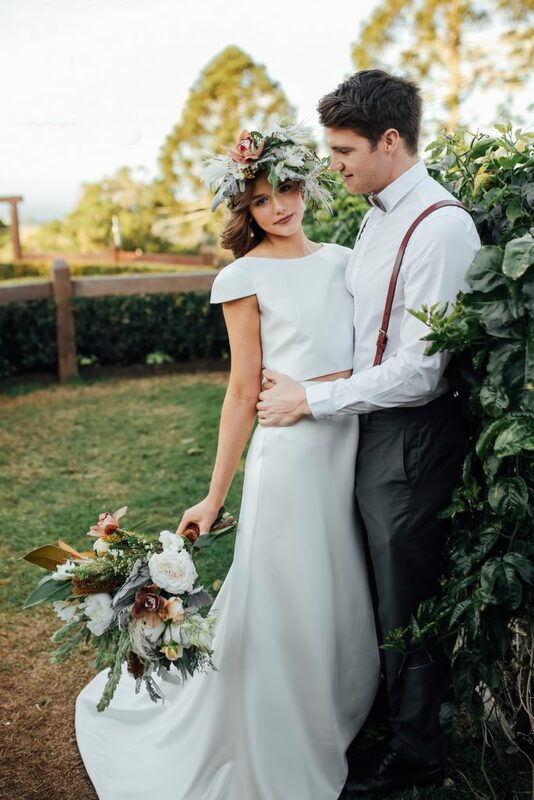 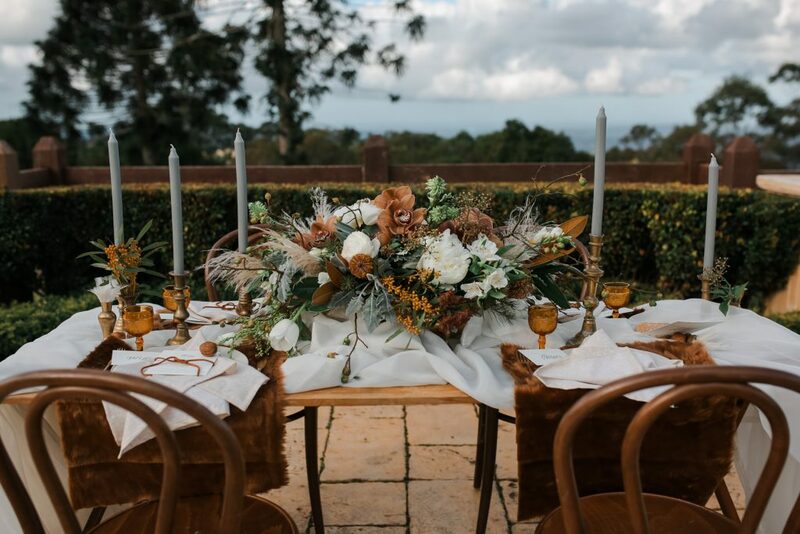 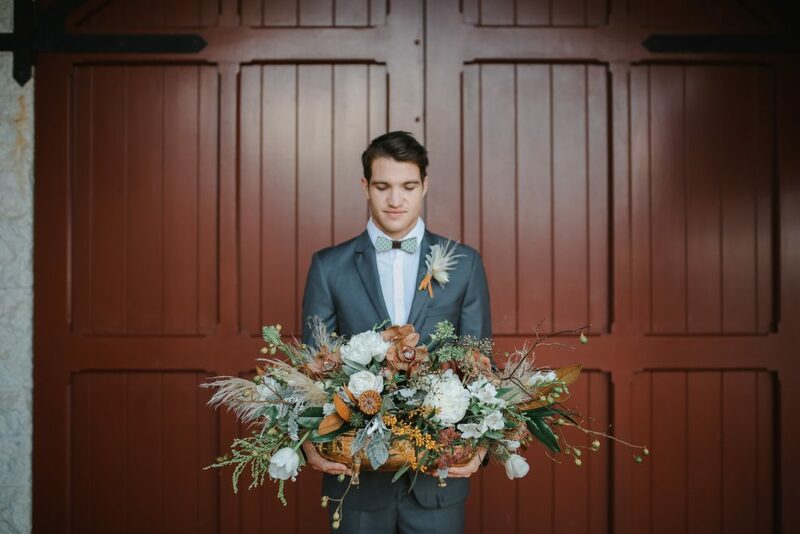 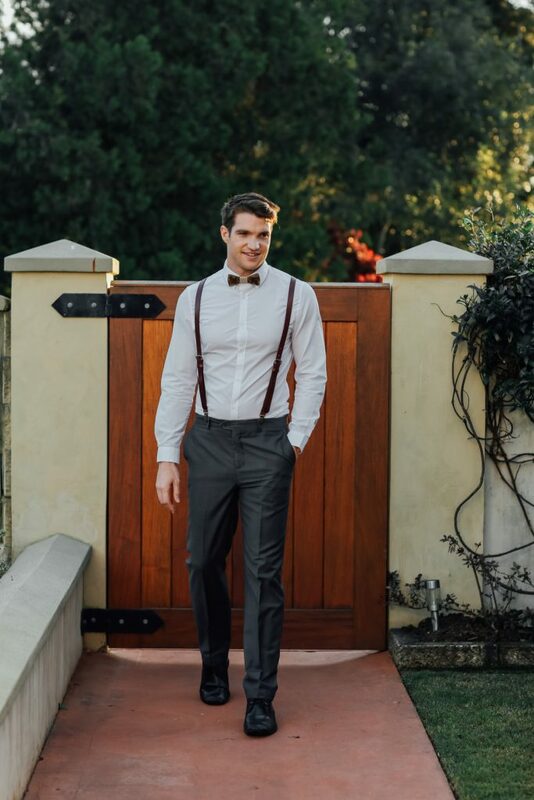 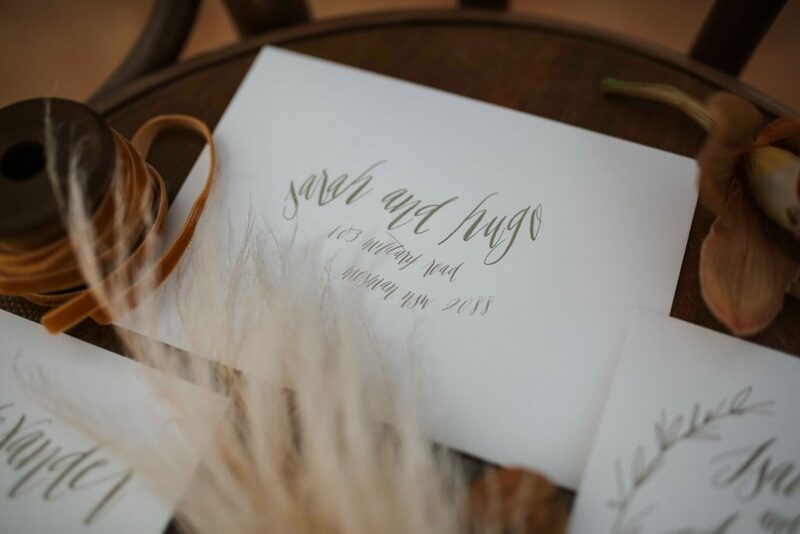 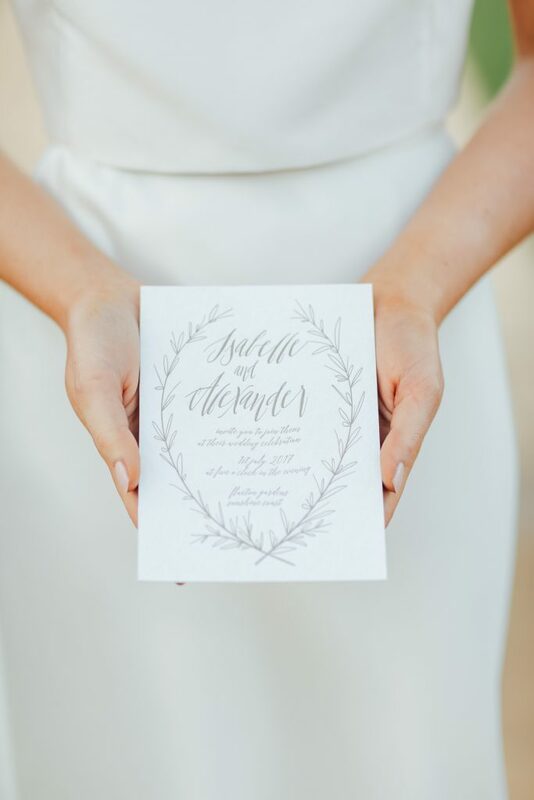 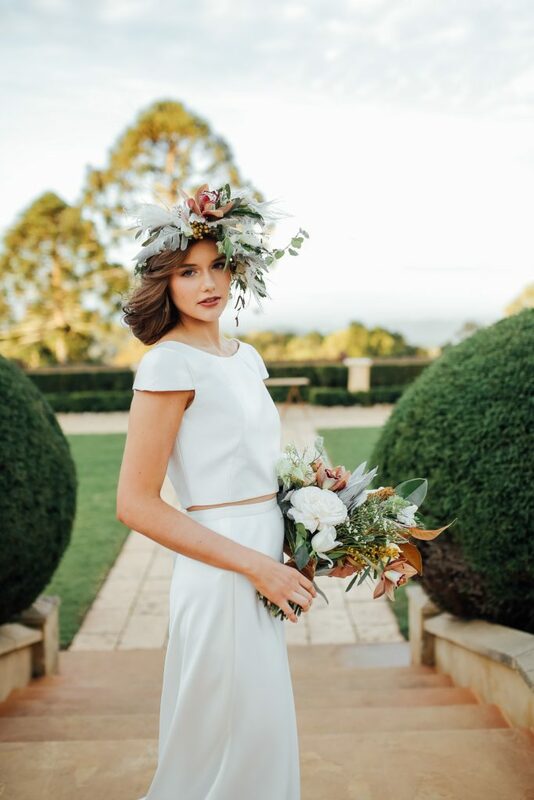 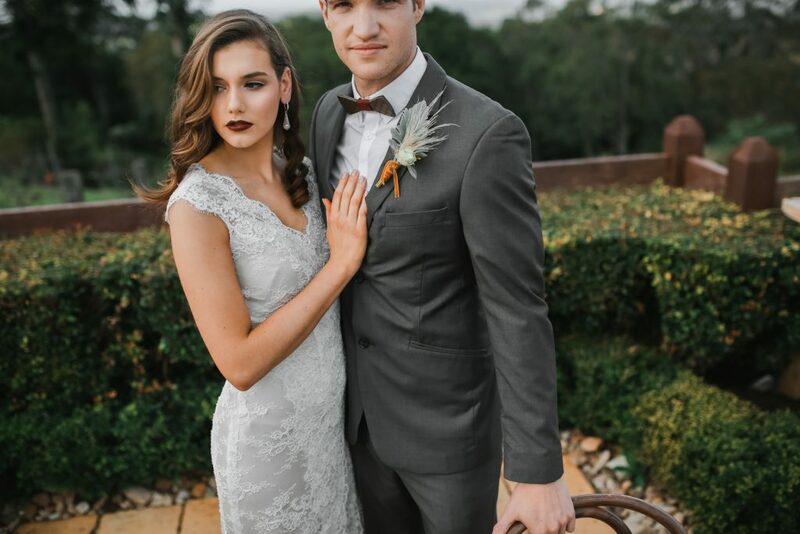 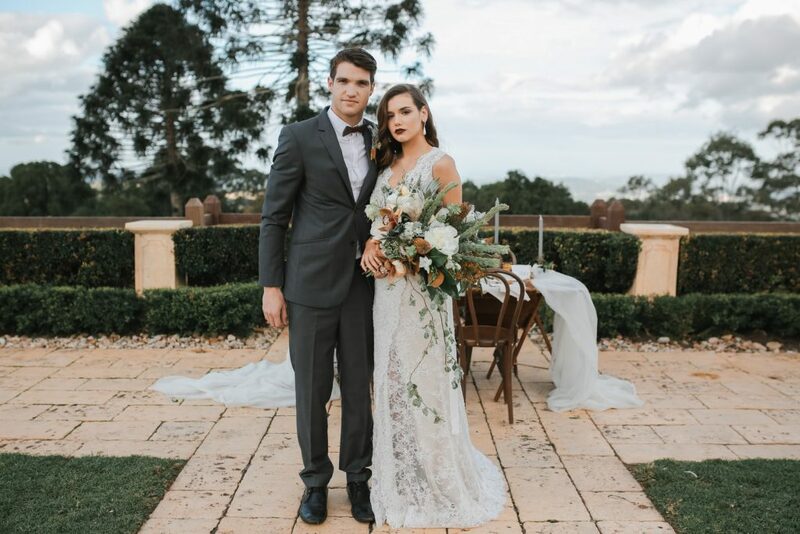 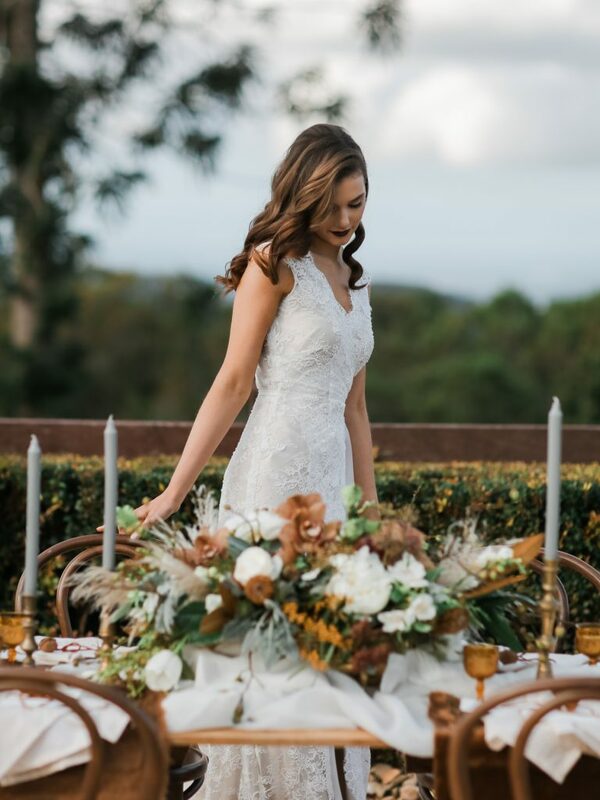 In an impeccably partnered creative collaboration, Shae Estella Wedding Photography and boutique occasion stylist Made to Match Events design and capture the details of an unforgettable love fest set in the heart of the Sunshine Coast hinterland. 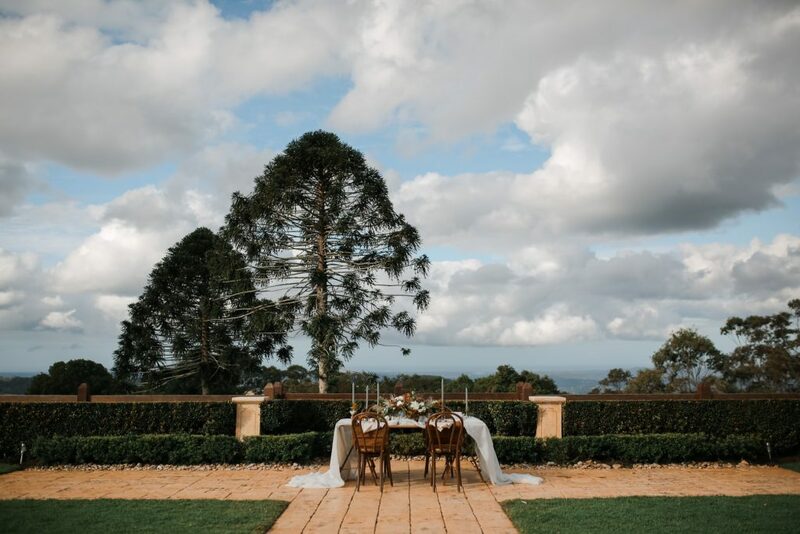 Flaxton Gardens in Mapleton, with its views of the Noosa and Moreton coastline, sets the scene. 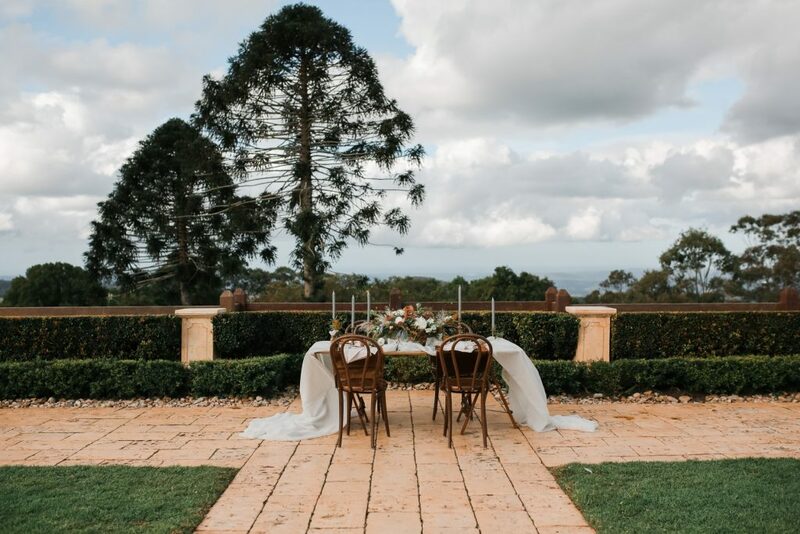 A magnificent manor, gorgeous gazebos, manicured gardens and water features, provide the perfect backdrop for a memorable ceremony and the festivities that follow after. 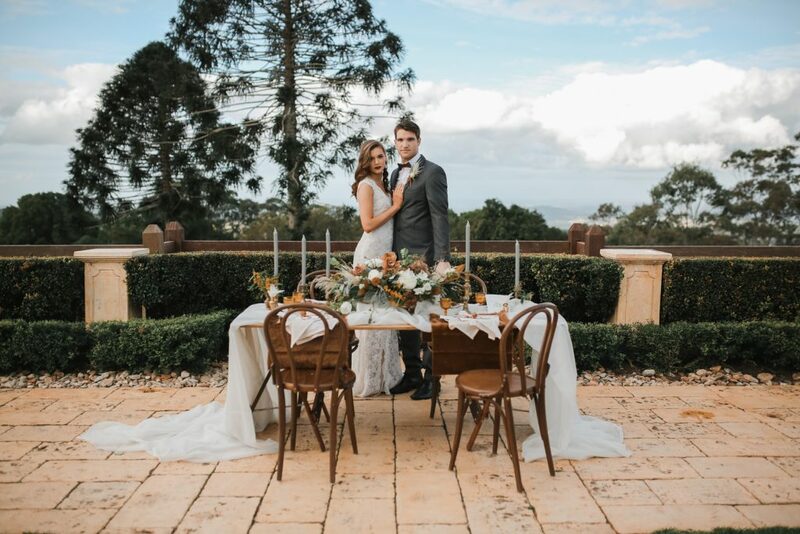 Find inspiration in this picture-perfect story of a wedding fete that gorgeously blends luxe elements with touches of laidback details. 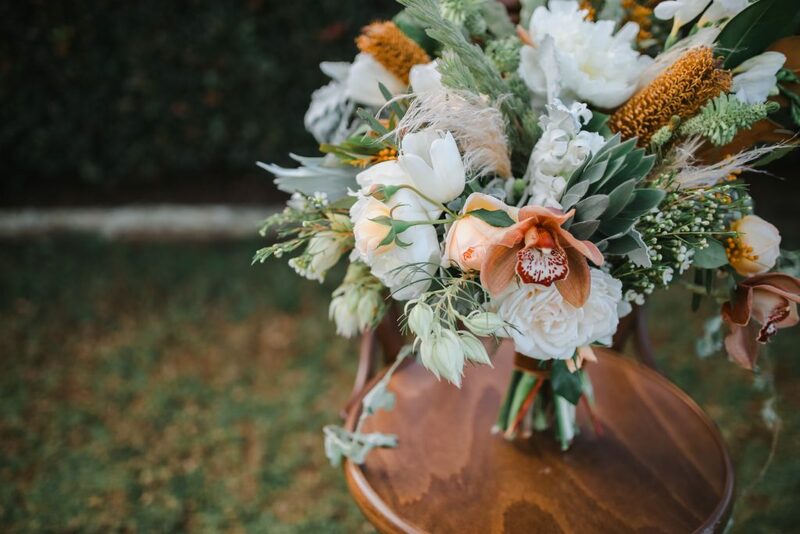 Break away from the usual fancy floral arrangements. 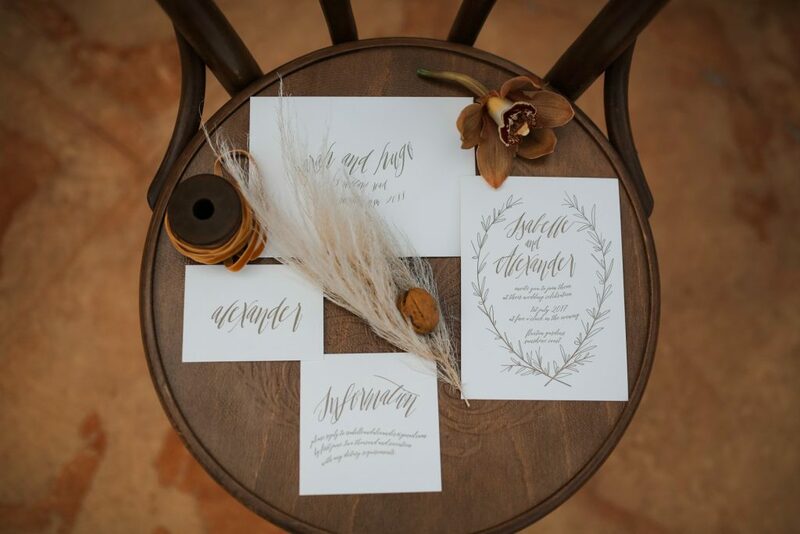 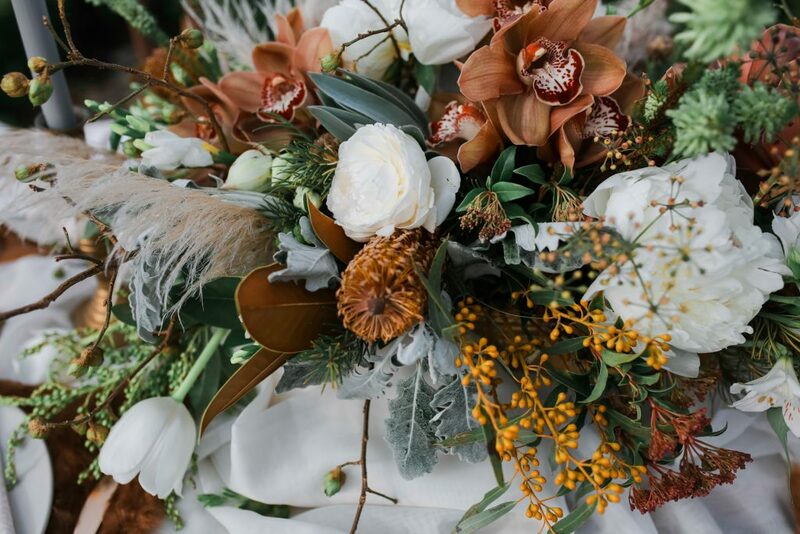 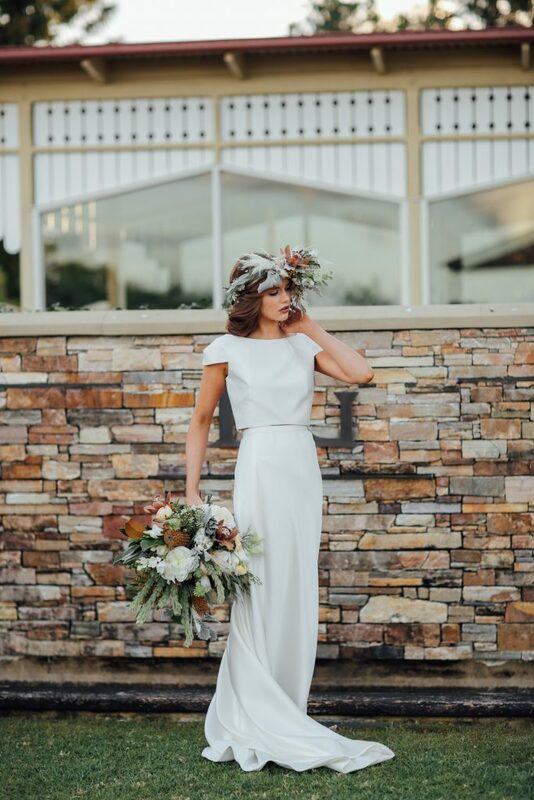 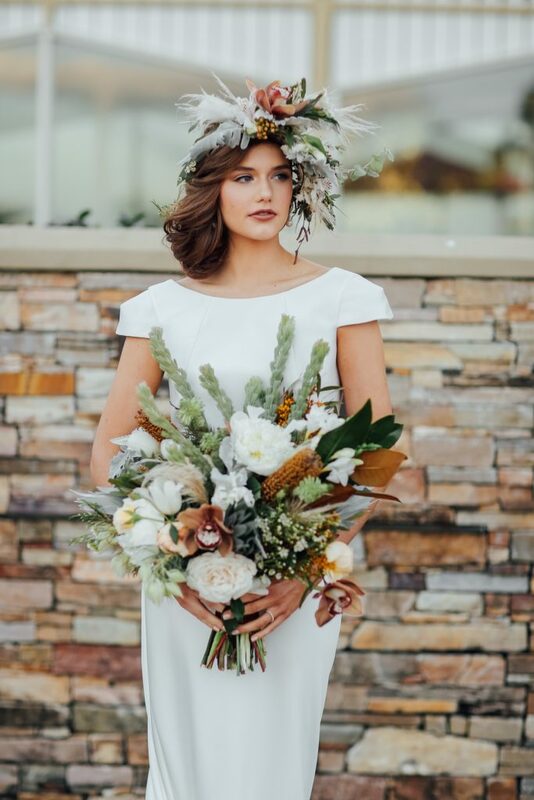 In the spirit of hinterland charm, fill the space with eclectic bouquets of natives, wildflowers and traditional blossoms from Woods and Bloom, arranged to romantic rustic perfection. 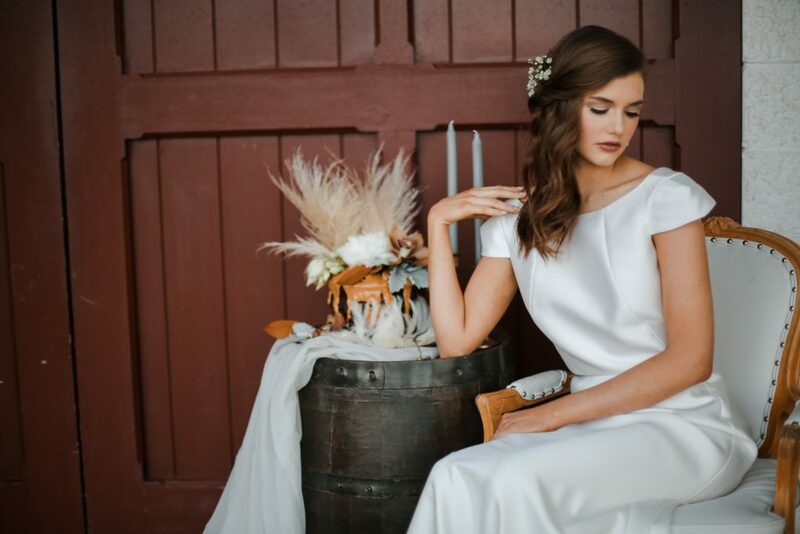 All eyes will be on the bride on this special day so it is essential to look flawless and stunning at all times. 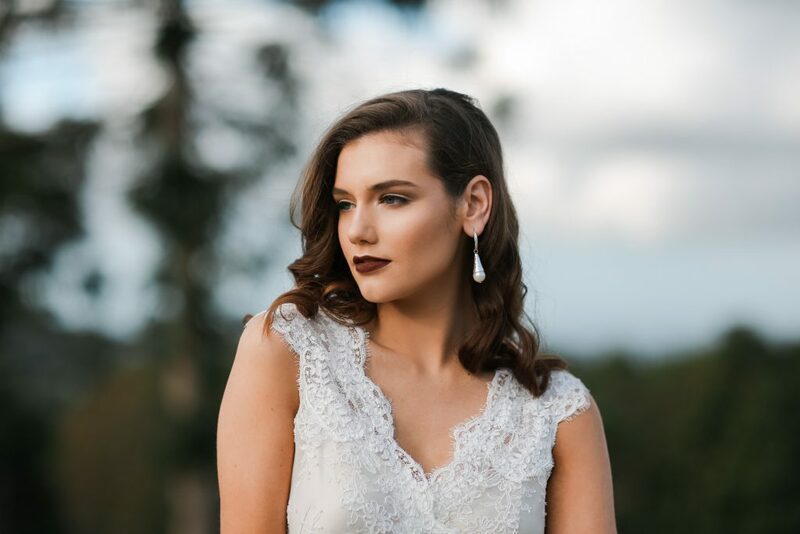 Sally Townsend’s team of talented makeup artists are connoisseurs at bridal beauty and have mastered the perfect palettes, formulation and techniques to achieve the longwearing luminous complexion that all brides desire. 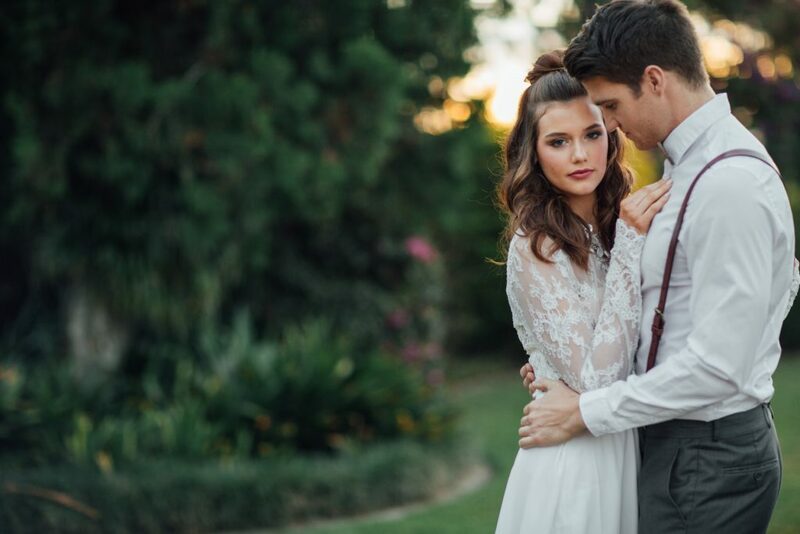 Skin-savvy and nature-friendly products are applied with care, highlighting expressive eyes and luscious lips. 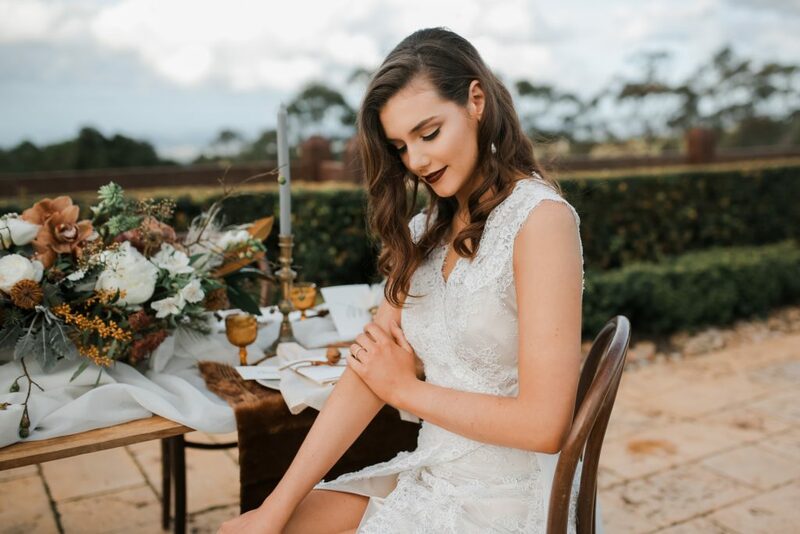 The result is a lasting radiant glow, never fading from the time you walk down the aisle to when you hit the dance floor, and every Instagram-worthy moment in between. 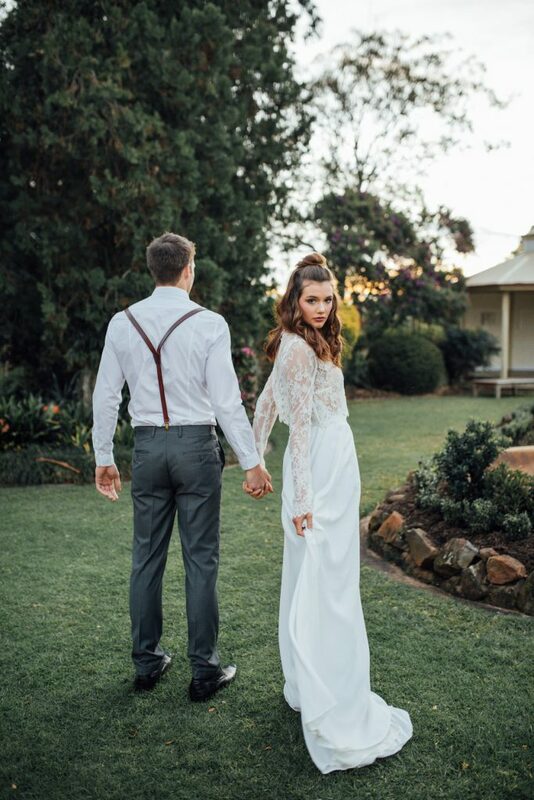 Soft feminine waves and a relaxed updo by Sass and Nikki Hair frame the blushing bride’s face beautifully. 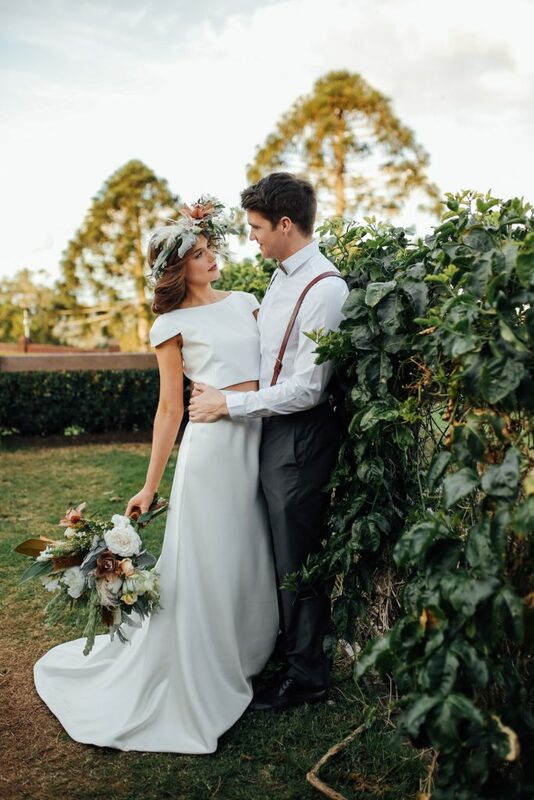 Hair is beautifully and expertly coiffed to behave but also allowed to flow and fall freely – it’s the perfect wedding tress for a hinterland affair. 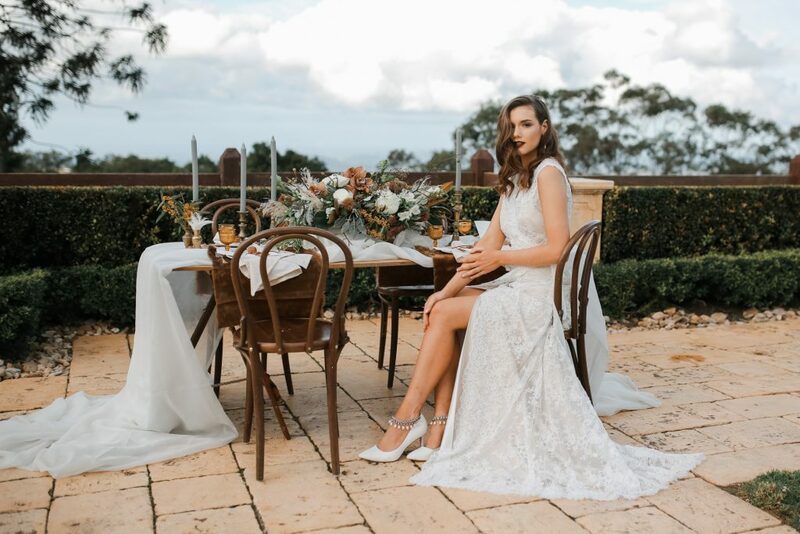 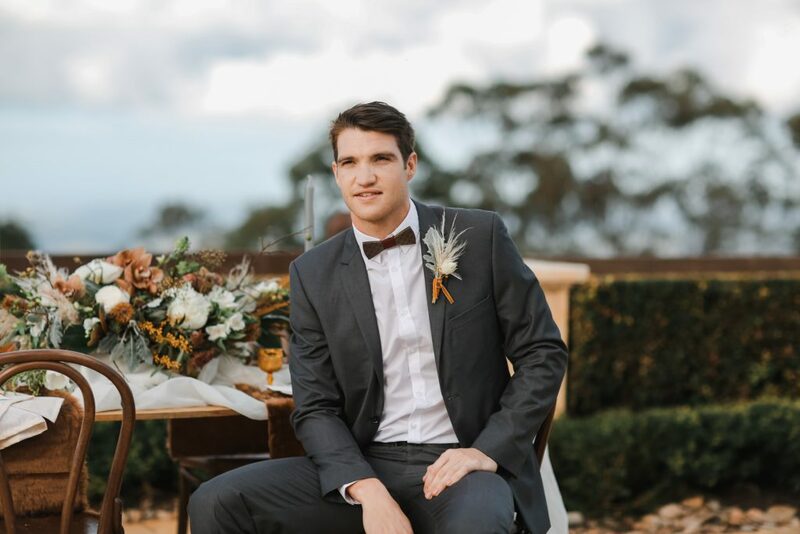 Shae Estella Photo is a wedding and portrait photographer based between the Sunshine Coast, Bowral, Southern Highlands and Canberra. 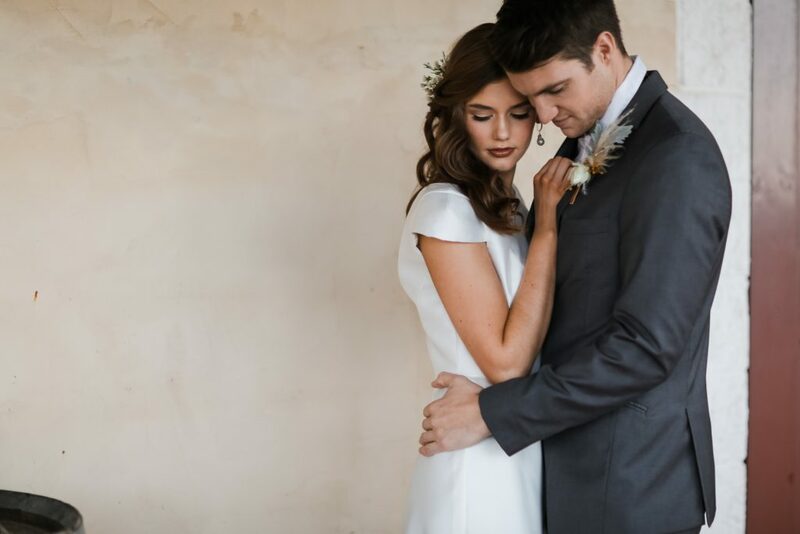 She specialises in natural, candid and fun wedding photography. 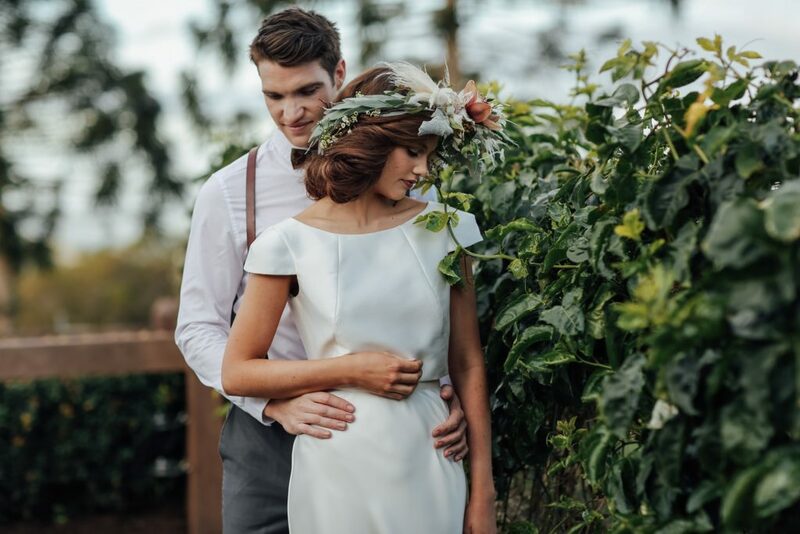 Shae Estella Photography also travels for destination wedding photography to countries such as Fiji, New Zealand, Greece, Italy, France, UK, Ireland and Scotland.